April through to June saw Cassandra starring at one of Tokyo's most exclusive live music destinations, the New York Bar at the Park Hyatt. It might seem familiar to many as the setting for Sophia Coppola's 2004 Oscar Winning film Lost in Translation. 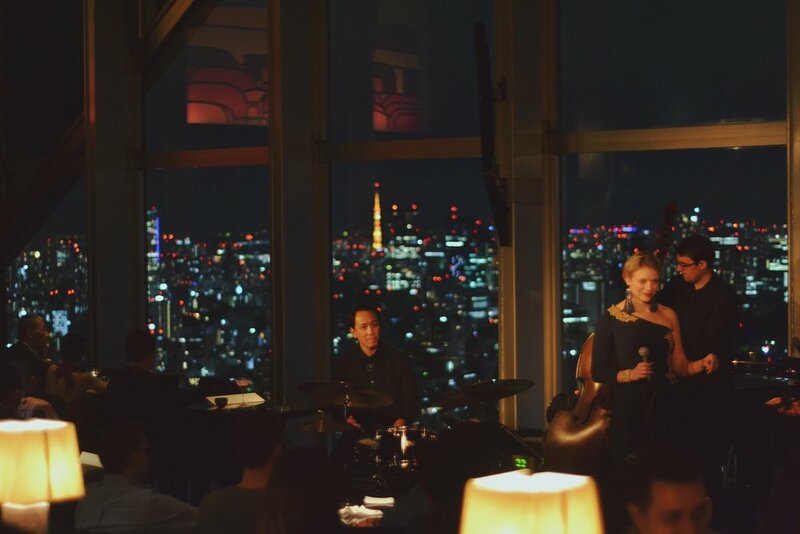 As International guest artist in residence she performed nightly at the stunning venue, 52 floors above the sights of Tokyo. With a quartet of some of Japan's most in demand Jazz musicians, it was 8 weeks full of Jazz magic in the city that never sleeps. Photographer Hilton Luke has some stunning images from his time in Tokyo and shares some interesting insights on life in Japan in his recent blog post below here.